And you thought it was neat that there'd been a long-hidden Easter Egg in Halo: Reach. Whatever. One that's been hiding inside Halo 3 - for seven long years - has finally been found. And it's pretty sweet. Not sweet in a "whoah, that's sweet!" kind of way. In a "awww, that's sweet" kind of way. Q: What is your proudest moment in your time at Bungie? 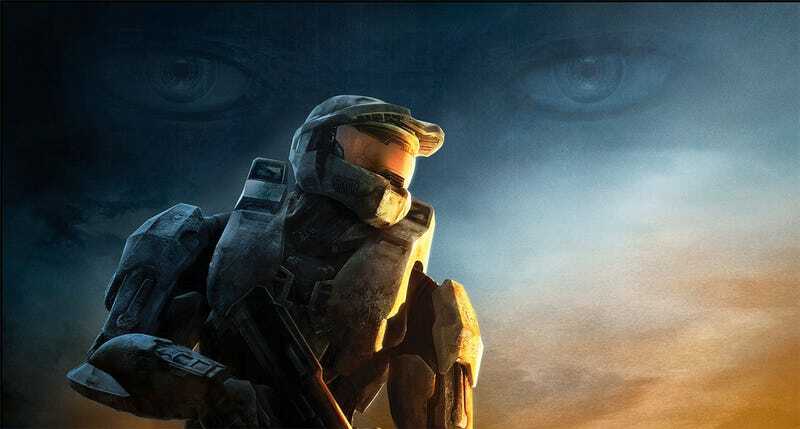 A: Showing my wife the Easter egg I put in the halo 3 loading screen for her – the one that nobody has found yet. Well, it's been found now (by Lord Zedd). Seems if you click both thumbsticks while on the loading screen on December 25, the view pans out. And if you slow it down, you can clearly see a birthday message for Perez's wife Lauren. Happy birthday for December, Lauren!